Gmate Box Dual SIM Bluetooth is an external adapter which allows to transform your Apple and Android mobile phones into a dual SIM smartphone. For iPhone, iPod touch, iPad and Android smartphones/tablets. Gmate Box Dual SIM adapter is a tiny companion Bluetooth device that integrates a GSM phone, a slot for one SIM card and a battery. This Dual SIM Bluetooth system allows you to make and receive calls on both SIM cards simultaneously without having to carry two mobile phones. You manage your calls, your messages and internet access on both SIM cards in simultaneous. Your iPhone or Android smartphone becomes a Dual SIM phone and you centralize all data of your two SIM cards (phone book, SMS, call logs ...) on one mobile. Your iPod touch becomes an iPhone to make calls, send SMS and use the Internet. Your iPad or Android Tab becomes a smartphone and you can make phone calls, send SMS and browse the Internet on your tablet. Communicate without limits with Gmate Box. Download and install the software Gmate on your Apple iPhone, iPad, iPod touch or Android Smartphone. Insert your SIM card (prepaid or subscription) into the Gmate Box . Connect your devices to Gmate Box via Bluetooth. Enjoy the "Dual SIM card" function. Turn your iPhone or your Android smartphone into a DualSim card phone. Turn your iPod touch into mobile phone. Turn your iPad or Android Pad (without 3G) into mobile phone. 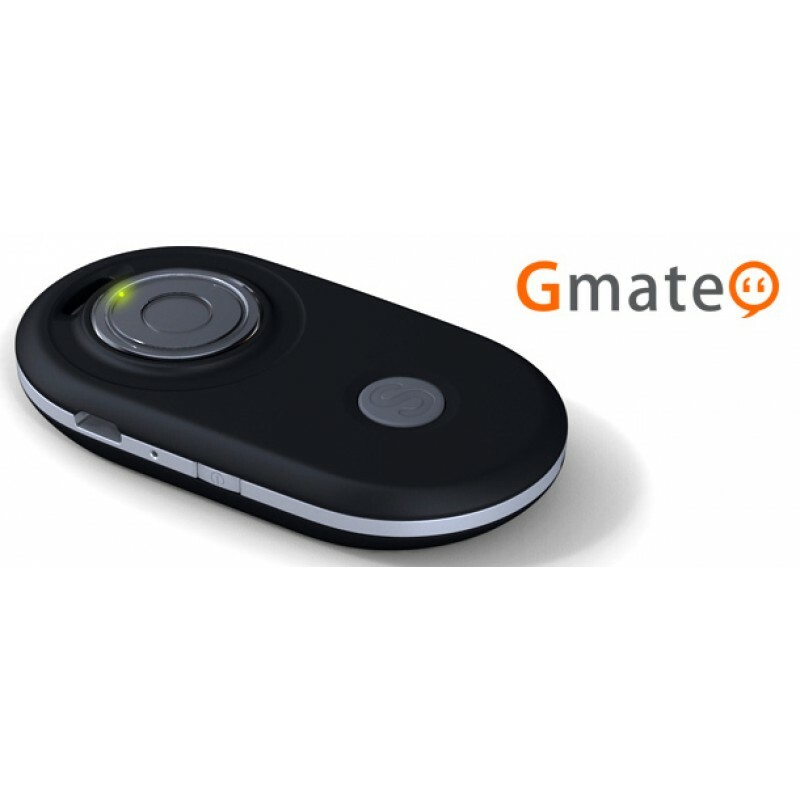 Gmate Box is connected to your mobile phone via Bluetooth within 10 meters. Small, thin and lightweight, it fits easily into a pocket or a bag. Gmate Box Dual SIM Transformer is compatible with Apple iPhone, iPod touch, iPad and Android devices.